Loyalty isn’t easy to come by. The kind of devotion that inspires poets is only built over time. Civilization VI’s new Rise and Fall expansion takes this concept of loyalty and bakes it into Firaxis’ incredibly robust sim. Lead your nation well and you inspire other city-states to rally to your side. Mismanage your population and even your most cherished municipalities could rise up in secession. 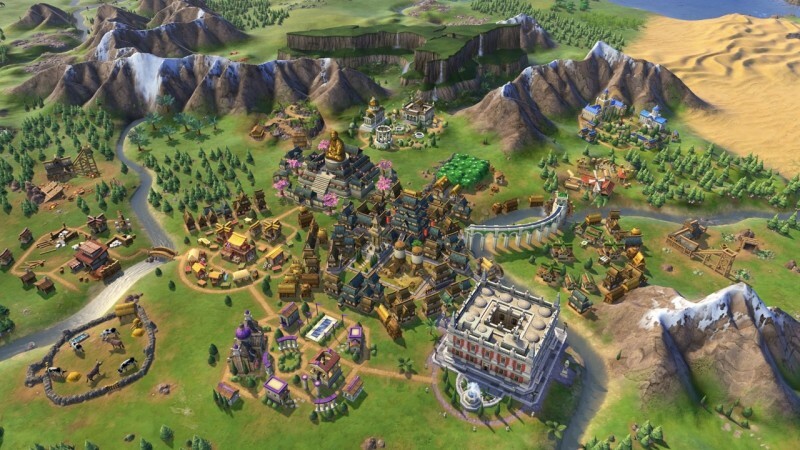 Rise and Fall cleverly builds off existing designs without destroying Civilization VI’s groundwork; it’s the kind of smart design that has earned Firaxis its own loyal following. 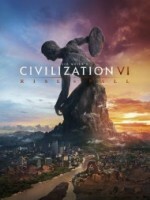 As with all Civilization games, the ultimate goal is to lead your nation through several millennia of progress and become the dominant world power. Properly managing an empire requires rulers to carefully spin several plates at once. You might need to maximize the productivity of your population while making sure your cities have proper amenities while also defending your national interests from warmongers. These elements can be micromanaged to the nth degree, and it takes a while before you begin to see through the matrix, but once you develop a winning strategy, you feel like you’ve built something incredibly special. 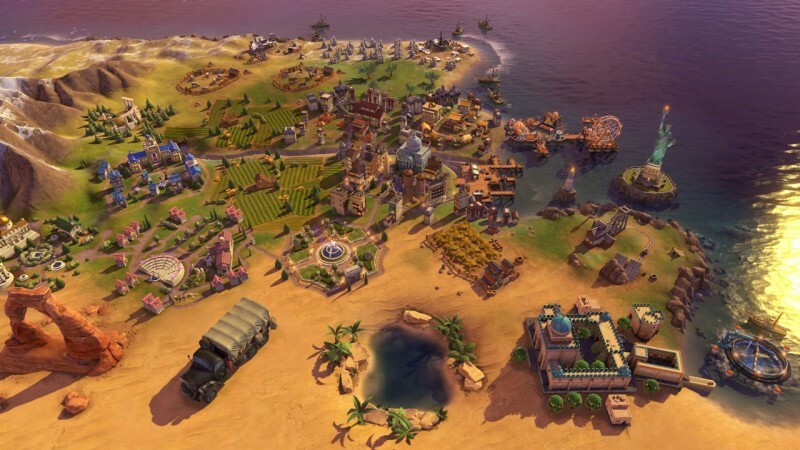 Rise and Fall maintains all of Civilization VI’s incredible flexibility. I had playthroughs where I focused on conquering the world through religion and avoided combat altogether. In another game, I used my scientific lead to nuke everyone – then conquered the charred remains of the planet. Thanks to Rise and Fall’s loyalty system, spreading across the globe too quickly can lead to ruin. Cities built further away from your capital are now more susceptible to the cultural influences of other nations. If those nations influence your city too much, that settlement might eventually run a new flag up the top of its courthouse. This push-and-pull mechanic adds a nice element to your strategy, and I loved exploiting it and pulling other nations cities over to my side. Micromanaging each city’s loyalty is never tedious thanks to the addition of governors. These administrators can be installed in a city where they boost that city’s loyalty. 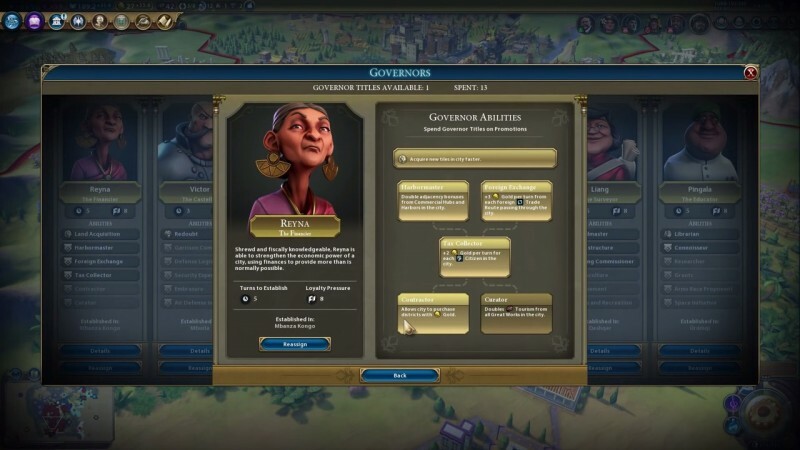 Governors also have their own unique skill trees, and buff things like food production or military strength. These characters add another layer to city management, but all their buffs run in the background. That means I didn’t feel connected to them, since they demand little attention once installed. Another change for Rise and Fall is a reworked era system. Nations no longer progress through the ages at their own pace; every nation on the map moves through eras together. As you establish contacts with other nations, discover Natural Wonders, and building unique units, you earn points for that era. Manage your nation well and you enter a prosperous golden age. But if your nation slacks off, you suffer through a dark age that diminishes your population’s happiness and loyalty. Thankfully, digging yourself out of a dark age is easy; the only time I fell into one, I was able to rebound into a fruitful heroic age. This new era system didn’t dramatically impact my overall strategy, but it is a playful way to chronicle time, and it gave me some short-term goals to aim for while I kept my eye on the global prize. 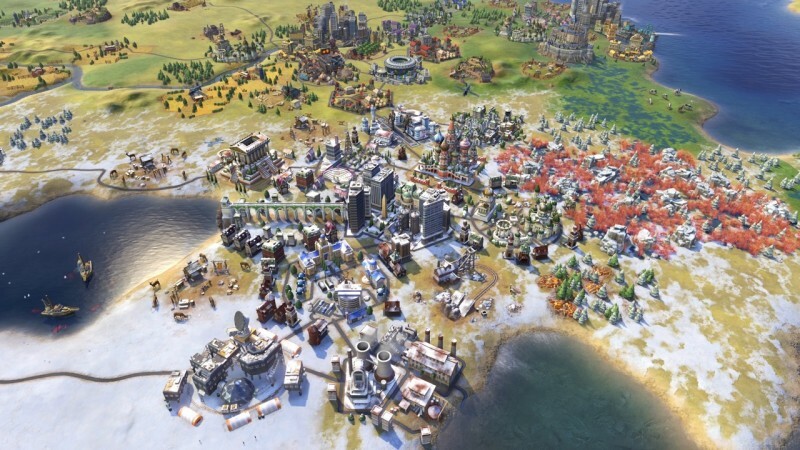 Firaxis’ Civilization franchise has remained popular because each entry is an incredibly rich, multilayered strategy. Fans love this intricate network of surprisingly flexible systems. Rise and Fall adds numerous new leaders, buildings, units, and wonders. It also tinkers with the nation-building strategy in some bigger ways thanks to the additions of loyalty and golden ages. 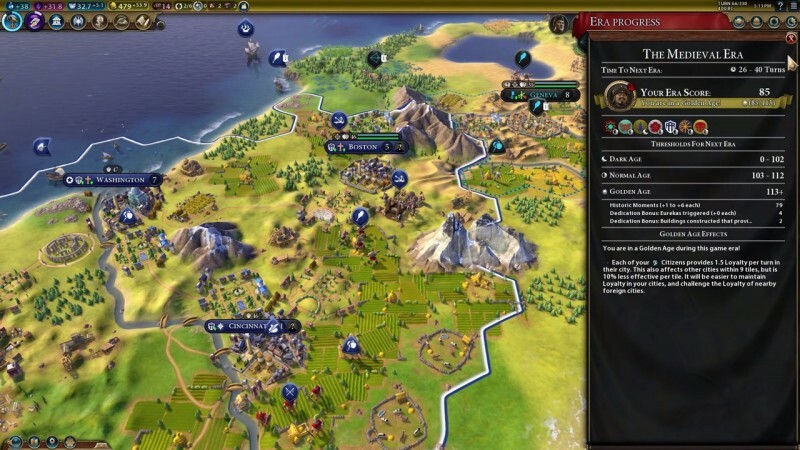 In the end, Rise and Fall’s moment-to-moment action isn’t dramatically different from the base game, but the new bells and whistles provide a good excuse to return to Firaxis’ excellent strategy game. Rise and Fall cleverly builds off existing designs without destroying Civilization VI’s groundwork.